Florida leads the south in water efficiency, according to a study examining water use across the United States. While states in the north have become more water efficient, their southern counterparts have not. Florida is the exception with water use in homes, business and public spaces declining over the past 30 years in the Sunshine State. Broward and Palm Beach were the most efficient counties, while Hardee and DeSoto were the least efficient. These findings are consistent with the national findings that show increased water efficiency in urban areas while rural areas have become less efficient. 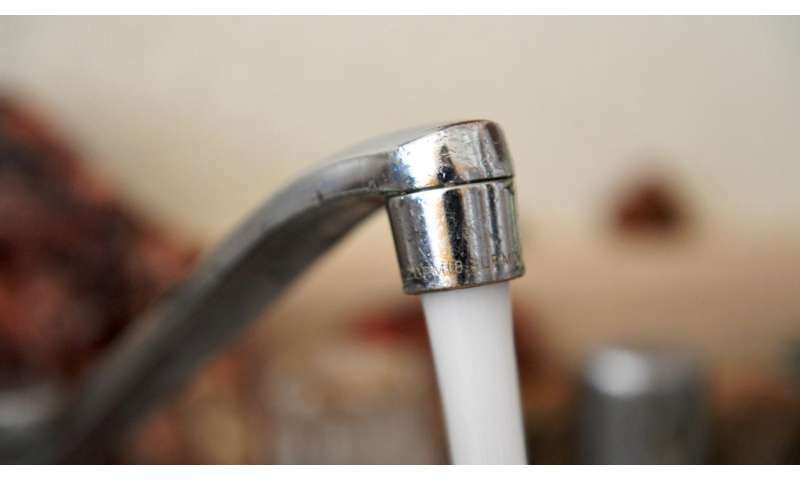 "Florida is the third most populous state in the country and it is largely urban, which accounts for its higher water efficiency compared to other southern states," said FIU biologist John Kominoski, a co-author of the study. Adopting water-efficiency technologies and retrofitting existing water infrastructures are big reasons why urban areas have improved, according to the researchers. Water use efficiency in urban Miami-Dade County has stayed about the same or slightly decreased since 1985. "It's difficult to say why Miami-Dade's water use efficiency decreased," Kominoski said. "It's likely many things contributed to this, but it could be related to suburban development in places like Doral, Homestead and Miami Lakes." The study helps identify the areas that need the most help, and it highlights measures that may be best suited to helping those areas. Understanding how people use water is important because climate change is likely to impact its availability, especially as populations also increase, according to the researchers. The researchers found counties with higher income and education, particularly those throughout the northwest, central, south and southeast U.S., are becoming more water efficient. Counties with lower income and education, particularly in the northeast, became less water efficient. This is because higher education may lead to greater awareness of water scarcity. It may also contribute to the willingness to reduce water usage and adopt water-efficient technologies and landscaping, the researchers said. "The Earth has all the water it will ever have," Kominoski said. "Water is a limited resource that doesn't renew itself year-to-year. Using it efficiently is essential for the survival and sustainable future of life on Earth." This is the first study on water use and efficiency across the continental U.S. Most studies have been conducted at the city level. The researchers call for monthly updates in county-level water use data to better understand the effectiveness of efficiency and conservation measures. They also say reducing water use, improving reuse and retention, investing in water-efficiency technologies, retrofitting existing water infrastructures and instituting policies will help with water efficiency and conservation. The study was published in the journal Earth's Future. It was funded by the National Science Foundation.